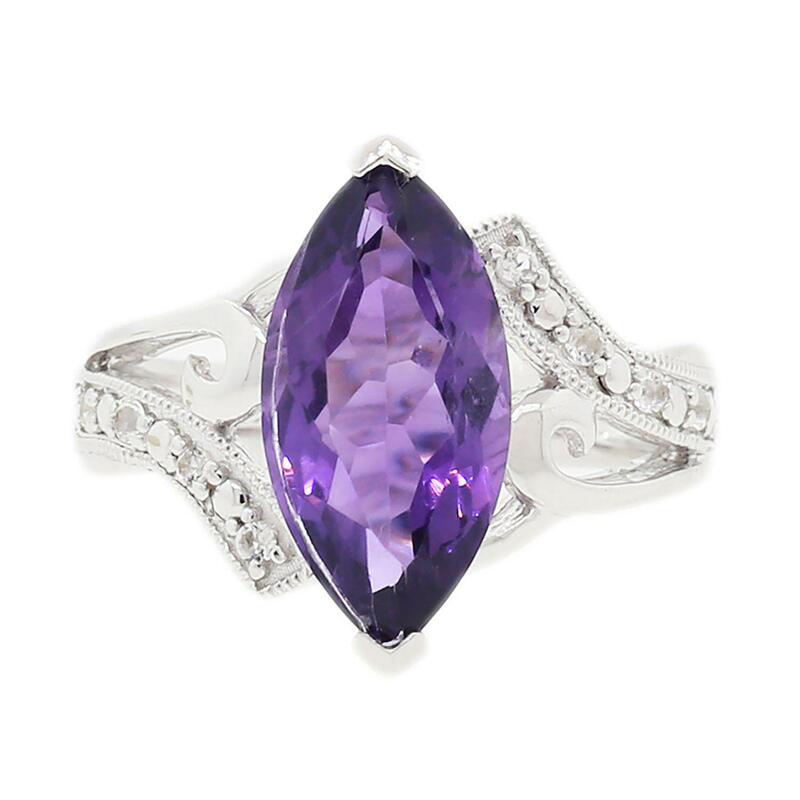 One electronically tested 925 silver ladies cast amethyst & topaz ring. Trademark is Orianne. Identified with markings of "925". Condition is new, good workmanship. One prong set marquise mixed cut natural amethyst, measuring 16.00 x 8.00 x 5.20mm, approximate weight of 3.51ct., clarity is eye clean, type II, medium dark, very slightly grayish, purple color, (GIA P 6/3), cut is good. Eight bead set round mixed cut natural white topazs, measuring 1.50 - 1.50 x 0.00 mm, approximate total weight of 0.12ct., clarity is eye clean, colorless, very slightly grayish, white color, (GIA W 0/3), cut is good. Total Weight of Colored Stones 3.63 ct.